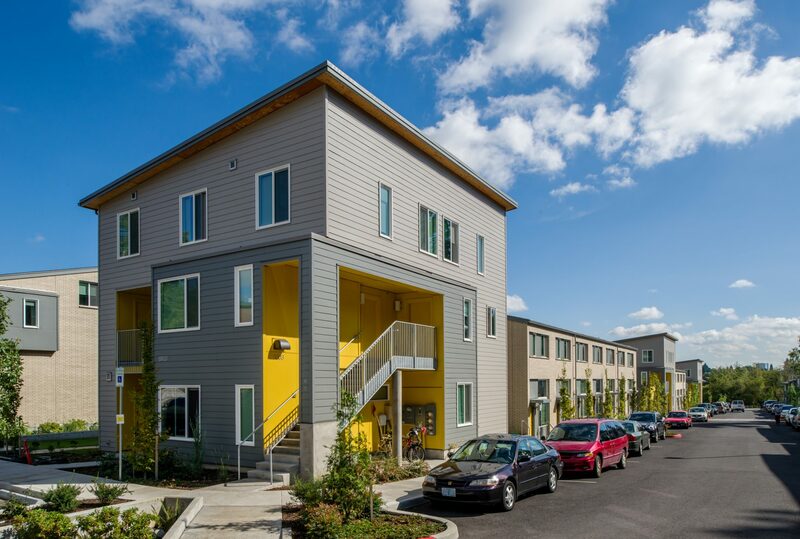 Stephens Creek Crossing (SCC) is a mixed-use, affordable housing development that replaced 60 dilapidated apartments in southwest Portland. 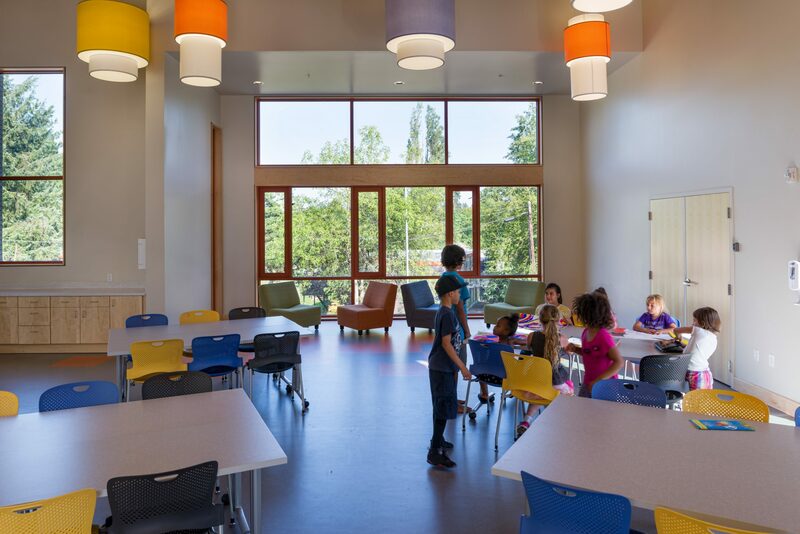 SCC provides 122 apartments, an 11,200 sf LEED Gold Opportunity Center, and a 7,200 sf Children’s Center Head Start School. 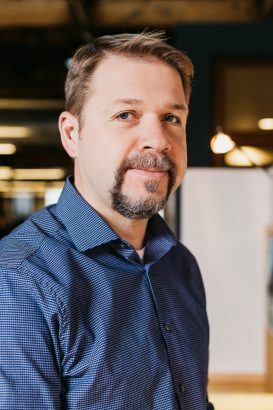 "The new Stephens Creek Crossing development is an investment in the community that aligns with our mission as an architectural firm." Challenged by steep slopes, the former development lacked physical and visual access on and surrounding the site. Connecting the redevelopment with its neighborhood was a primary focus. 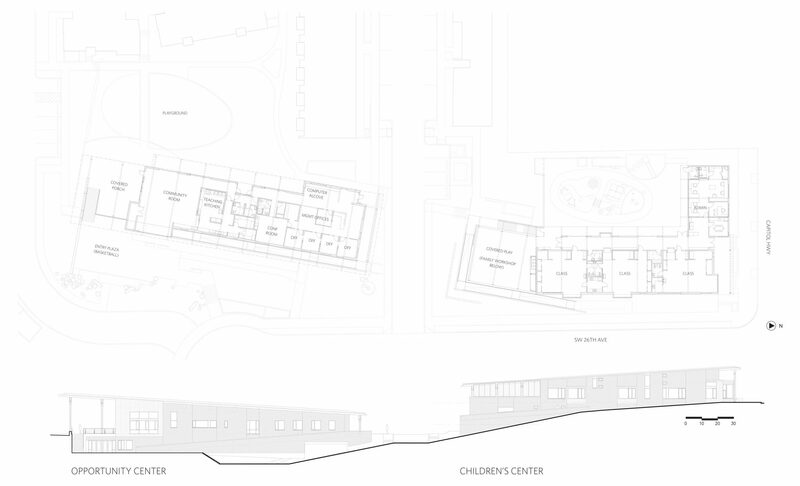 The project owner, Home Forward, purchased additional property to build the Children’s Center on top of the hill facing Capitol Highway. 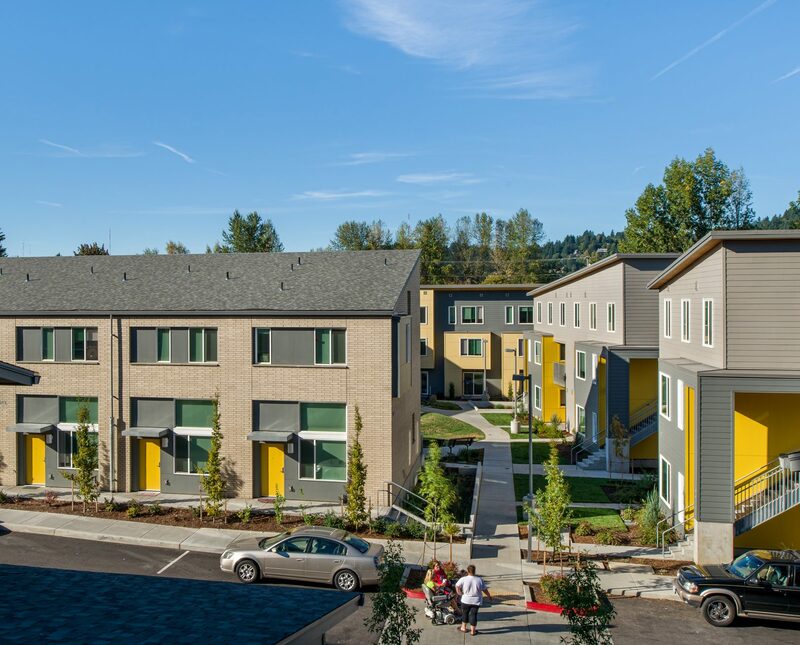 This approach resulted in a strong sense of belonging for residents and inclusion for neighbors. It is inviting to the people that live there and the people that will visit. More importantly, they created a neighborhood there. This, to me, is one of the best examples of how you can create community in new projects. 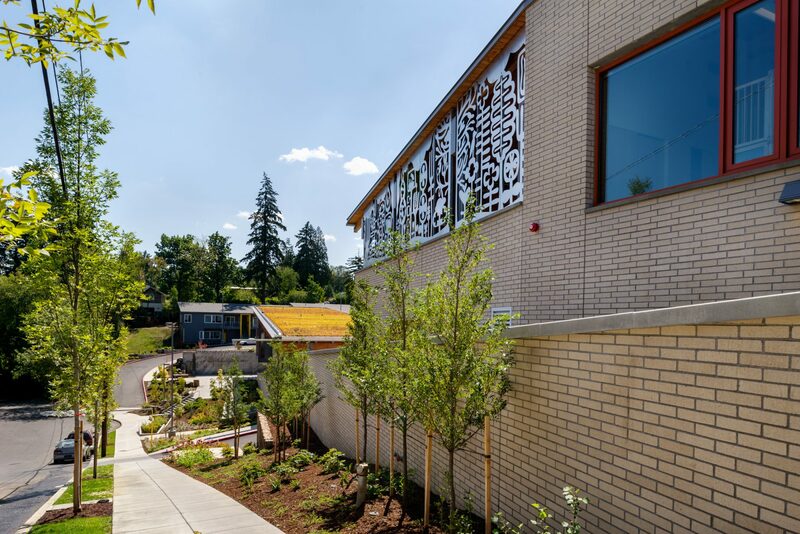 By using perimeter buildings as retaining walls to elevate the site, a variety of terraced community courtyards were created. 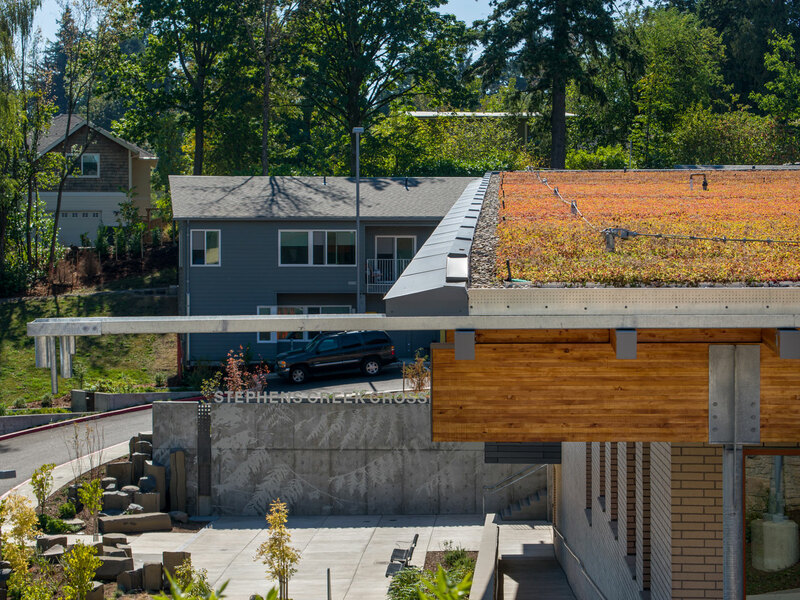 Accessibility from Capitol Highway was celebrated with exterior architectural ramps and sloping green roofs. 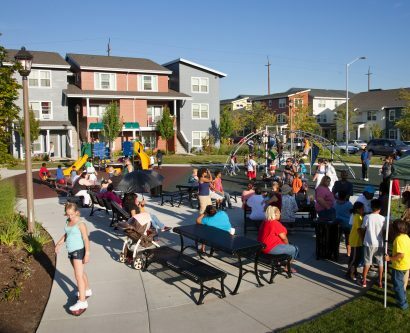 Access to multiple outdoor spaces provides engagement for all ages - from preschoolers to teens. A covered porch looks down to the teen plaza outside of the classroom. 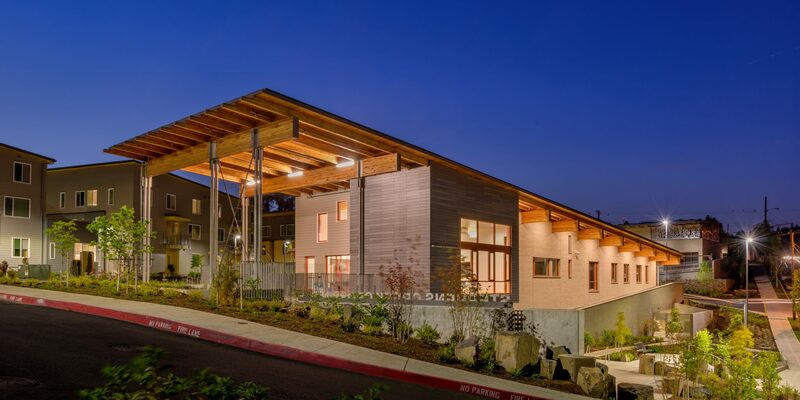 The design embraces storm water as an active and engaging element. Site stormwater culminates behind plaza concrete wall. Water flows down a perforated screen to a basalt rock water/landscape feature. 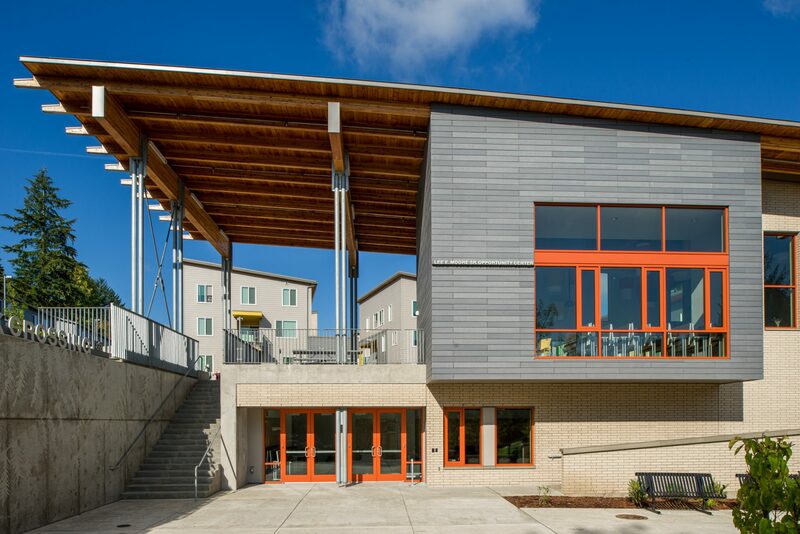 The Opportunity Center features management offices, public computers, a classroom, and a community room connected to outdoor spaces on three sides. 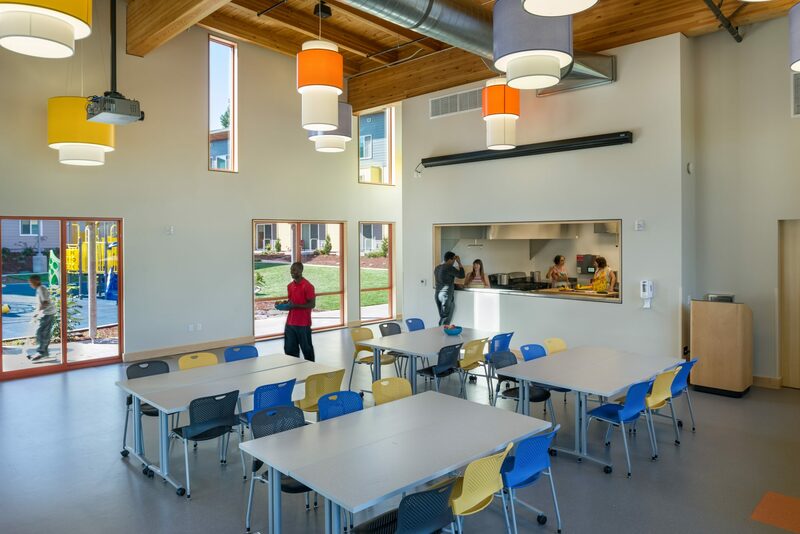 A teaching kitchen provides a direct connection to the community farm. 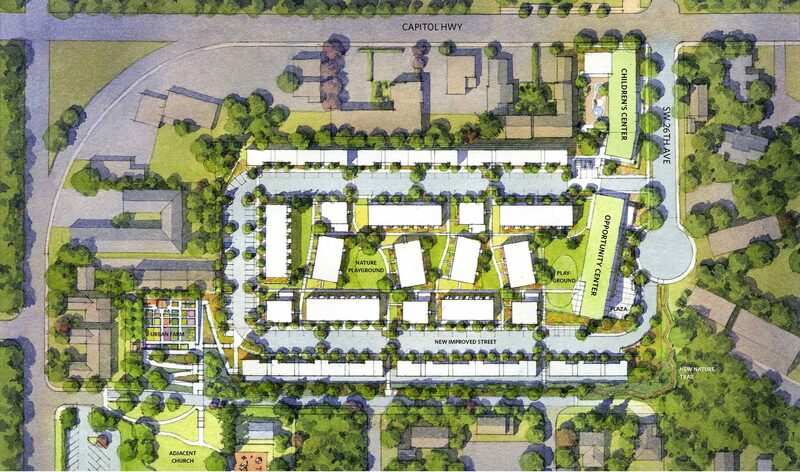 The housing component includes a mix of one- to four-bedroom flats and townhouses. 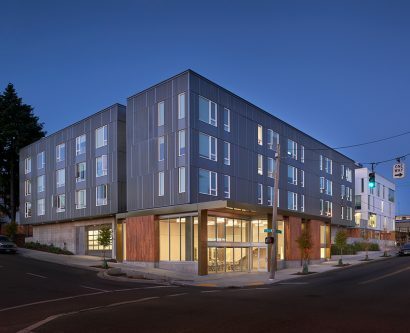 Apartments are oriented in the long direction to maximize daylight and feature triple glazed windows, adding thermal comfort. 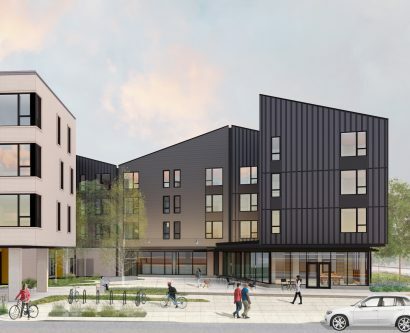 Views from units connect to community courtyards and enhance a sense of security. An innovative split-level three bedroom townhouse plan allowed compact footprints with double-height living rooms and abundant light. A range of linked outdoor spaces were created to foster community and provide accessible connections across the campus.